Trump Upset Victory Divinely Sent to Begin Messianic Process: Rabbis - Breaking Israel News | Latest News. Biblical Perspective. Donald Trump’s upset victory in the presidential race over Hillary Clinton, who was heavily favored in virtually all the pre-election polls, seemed to defy the laws of nature, reason and sense. Several rabbis have an explanation, however: it was, quite simply, the will of God. 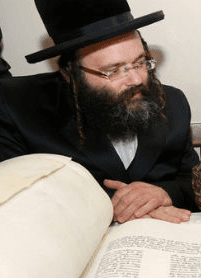 As the rabbi who oversees the final resting place of King David on Mount Zion, Rabbi Yosef Berger is intimately connected to the spirituality of kingship. For him it was clear what tipped the scales in favor of the Republican underdog. When taking the gematria into account, it was clear that Trump had a spiritual edge. As Rabbi Berger pointed out, the gematria for Donald Trump in Hebrew (דונלד טראמפ) is 424, which is equal to the gematria of “Messiah for the House of David” (משיח בן דוד). The Ben Ish Chai, an authority on Jewish law and master kabbalist who lived in Baghdad 150 years ago, interpreted the number 212 as a difficult time for Israel before the Final Redemption. Trump’s gematria is twice that, signifying an ongoing Messiah process. Rabbi Berger was clear on how this election fit into the process of Messiah. “As the spiritual descendant of the Biblical nation of Edom, America has a very important role to play in the Messiah. But in order to be suited for that role, America had to be humbled,” Rabbi Berger stated. 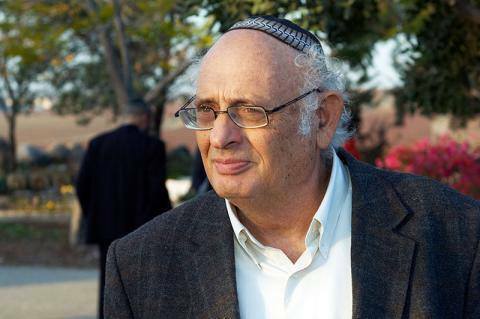 “This outsider, whose own party rejected him, despised by the media, won despite what the experts predicted,” Rabbi Berger said. As spokesman for the nascent Sanhedrin, Rabbi Hillel Weiss, also saw God’s interest in Israel as part of the election. He said that Trump’s victory was, in part, a reaction to President Barack Obama’s Israel policies. “President Obama made himself a very visible part of the campaign. 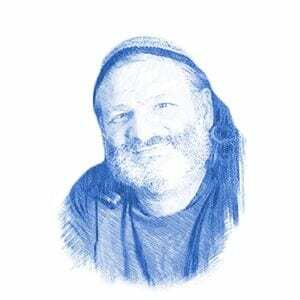 It is clear that Hashem (God) was part of the political process, using it to punish President Obama and those who were working to harm Israel,” Rabbi Weiss told Breaking Israel News. Trump’s slim margin of triumph and the fact that throughout the hotly contested campaign, Clinton consistently led in most pre-election polls made his victory even more stunning. At one point, Clinton led with a double digit advantage of up to 17 points. A CNN poll in June predicted a Clinton landslide victory by 24 percent. Indeed, up until the day before the elections, major polls were giving the Democratic candidate a five percent edge. Though Trump won the electoral college by a wide margin (279 as compared to Clinton’s 218), the popular vote told a very different story, with Clinton actually winning by one percent. In an election of such import, the margin was tiny. With the future of a world superpower in the balance, it was clear that such an upset victory, flying in the face of conventional politics, media predictions, and the expectations of international leaders, not to mention many Americans, was entirely due to an outside influence.